The increasing miniaturization of industrial products means new challenges regarding the serial production of machine-dispensed liquid seals. Plastic and metal housings in the electronics or automotive sector, as well as assemblies of telecommunication, consumer or household products, are more and more sealed following the "form in place" (FIP) method. Instead of inserting a conventional gasket (punched gasket, molded seal, endless product), a liquid sealing mass is directly dispensed onto the component. 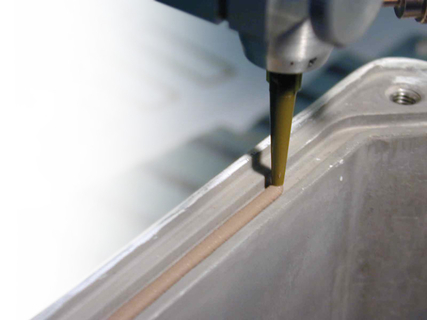 Usually, silicones, polyurethanes, MS polymers or POP hybrid polymers serve as sealing materials. 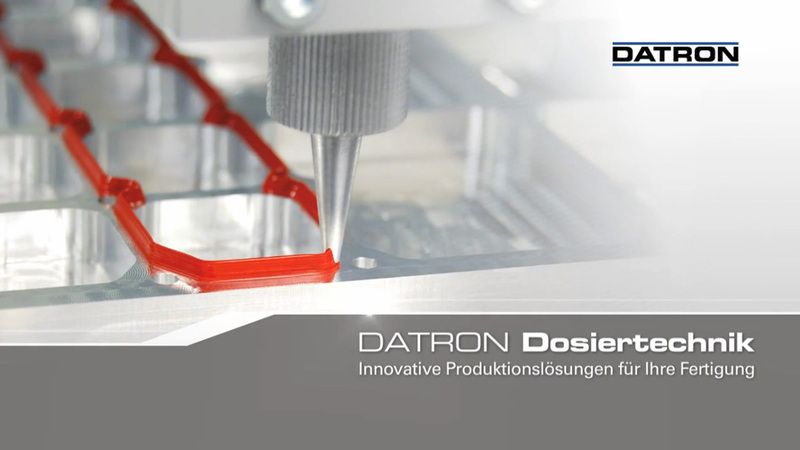 The volumetric dispensing systems from DATRON set a new standard in industrial dispensing technology and therefore meet the increasing requirements for the reproducibility of position, shape and dispensing volume of the applied adhesive or casting material. Our highly precise dispensing systems ensure optimum production quality at a maximum level of process reliability. The integration of the DATRON dispensing head in the path control guarantees that the applied amount has a precise volume, irrespective of dispensing speed and the flow properties of the material.